What’s next is always a key question for me. I guess I’m the kind of person that’s always looking ahead, but when I know something, or understand something I always want to know, what do it do with it? What’s next? What happens next? I’ve told the story before about worshiping in a church for while that really stressed the reality of human sin and brokenness. I left worship every Sunday thinking, ok, I get it. I’m messes up. What do I do about it? What’s next? What happens next? For me, that’s always a big thing. What is our response to what happens? What do we do about it? How do we handle it, how does it impact us? 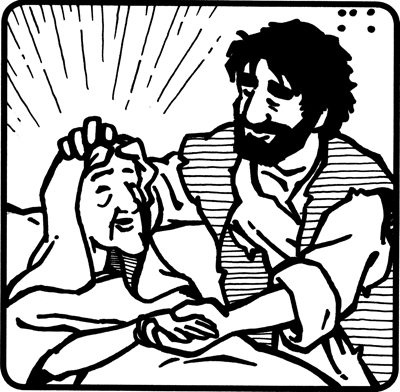 Jesus heals Peter’s mother in law. What happens next? She immediately got up and began to serve Jesus and the others. Notice that word, immediately. As soon as she could, she got up and went to serve others. Perhaps she realized just how much she had been given; she saw the length that Jesus went to, to give her a fresh start from this illness, and the way that she could say thank you, the way that she could respond was this. Perhaps today, that’s us. Has Jesus moved in your life? Has He given you grace, mercy, forgiveness? Has He restored you in some way? Shown you mercy? Given you grace? How do we say thank you? How do we show Him how thankful we are for what He has done for us? Perhaps we follow the example of Peter’s mother in law. Perhaps today we serve someone. That’s our thank you. That’s our response. We show that love, the way that Jesus has shown that love to us. Today, may our “what’s next” be to show God’s love to someone through our lives!